American Distributing only purchases, leases and sells American made tanks. Our 120 gallon tanks are Manchester or Worthington ASME tanks, so they never need to be recertified. 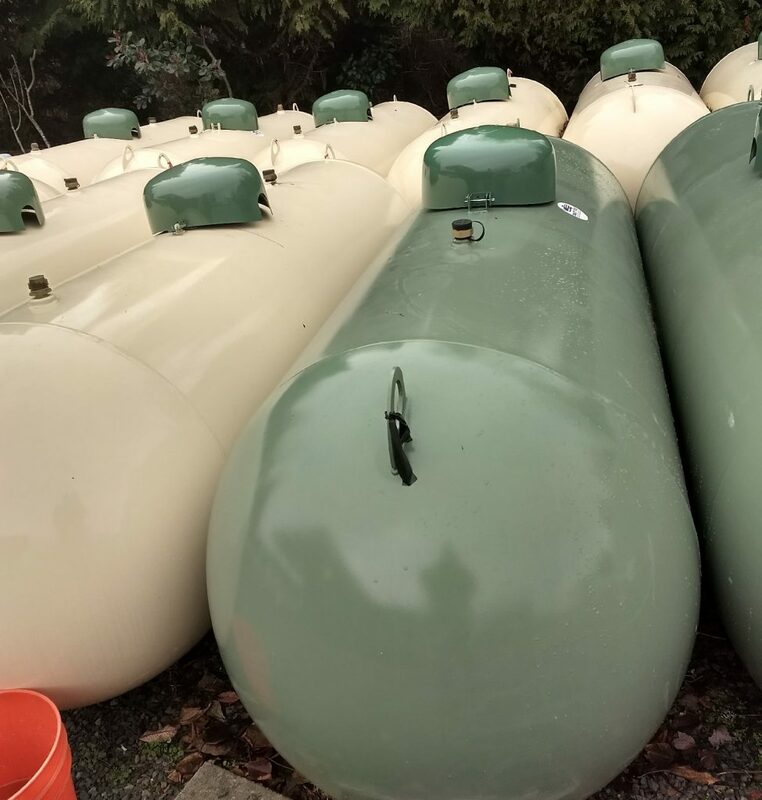 Our 250 and 500 gallon tanks are Quality Steel tanks and come in your choice of white, tan or green. We also sell 1000 gal. aboveground tanks and 250, 500 or 1000 gallon underground tanks upon request. 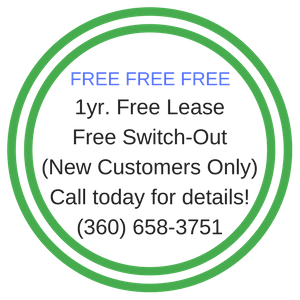 Every new customer will receive a complimentary Leak Test on your first delivery. The Leak Test is a complete leak and pressure test of your propane system. A Leak Test is also performed any time a tank is run completely empty or if there has been an interruption in the system. 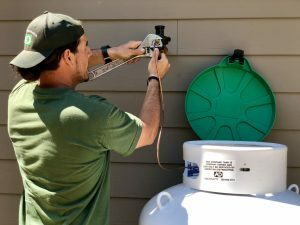 Propane has a distinct odor added to it to alert you that there may be a possible leak. Anytime you smell a sulfur like odor, shut your system off and notify A.D. immediately so a licensed technician can be dispatched (A.D.’s #1 rule of thumb Is “Safety First”). 250, 500 and 1000 gallon tank must be 10’ from a building, structure, source of ignition and the property line. Customer is responsible for digging the trench for any u/g line. Trench must be 18” deep if not driven over, 24” deep if driven over. ½” u/g line is charged at .50/ft for anything over 25’. All other u/g line must be quoted by installer during the site check. Tank lease deferred for contractors until home sells.